We got Naked with chianti. Naked Pizza that is. Yes…the name of the chain is intriguing (and innuendo inspiring), so we thought we’d give it a try. We ordered the Mediterranean pizza for Heather and I, and a plain cheese for the boys. I think the cheese pizza was gone before we actually ate ours (due to some crazy photographer taking pictures). So, I’m pretty sure they liked it! As did we. It was very flavorful and true to its Mediterranean influence with artichokes, red onion, feta, sun-dried tomatoes, and black olives. 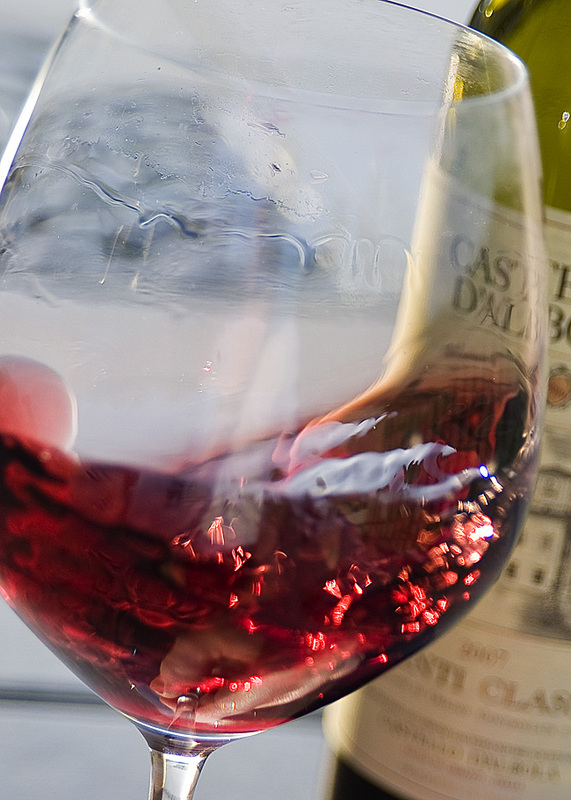 We decided to pair it with a 2007 Chianti Classico that was #47 on the Wine Spectator top 100 list, from Casttello D’Albola. The wine was marvelous. Super red in color, easily drinkable, and perfect with Pizza. I suggest you get Naked soon! The 2007 Castello D'Albola Chianti Classico catching a big breath. 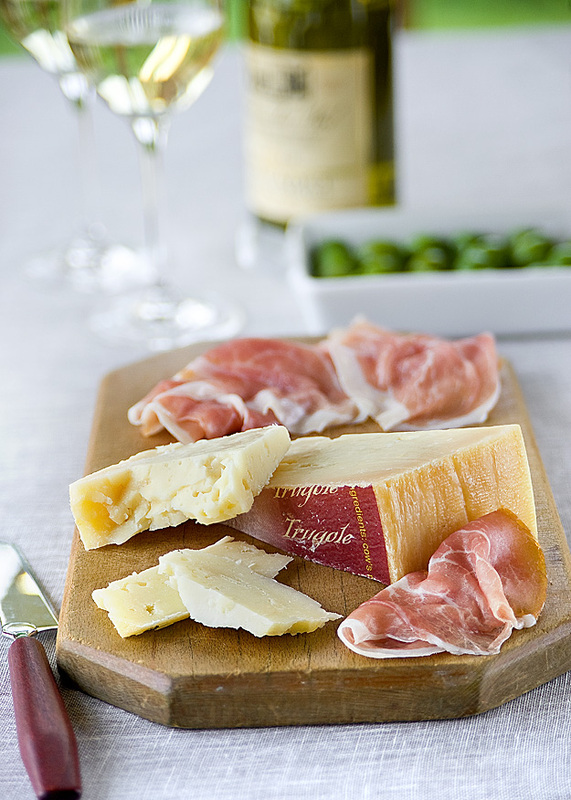 Trugole, Castelvetrano and prosciutto….oh my! WOW! Cheese is one of my weaknesses. And Trugole is one of Heather and my favorites. It’s made in the Asiago region of the Italian Alps, where the cows graze in certain rich pastures. This creates its unique and wonderful flavor. The semi-firm cheese is rich, yet mild at the same time, and creamy with almost a hint of fruit. The super bright green olives pictured are from Castelvetrano, Sicily. And, like the cheese, I find them to be rich, flavorful and mild all at the same time. They have a mellow buttery flavor that went nicely with the cheese. 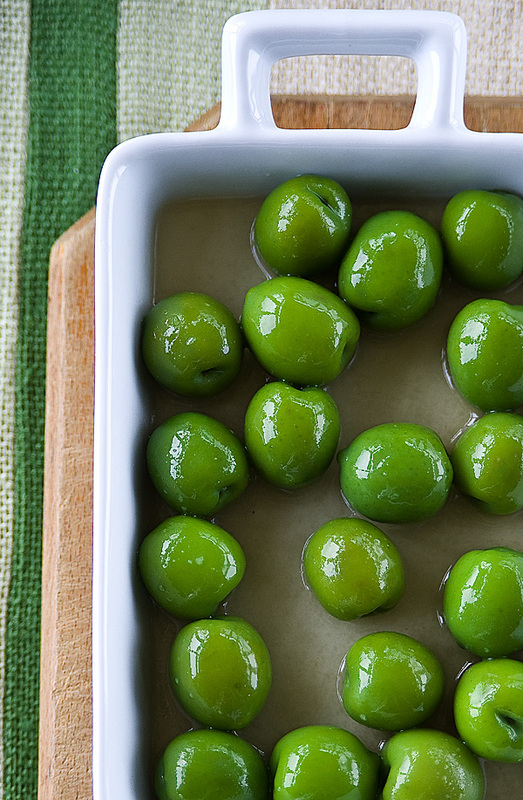 If you claim not to like olives…these will change your mind. Seriously….try one. 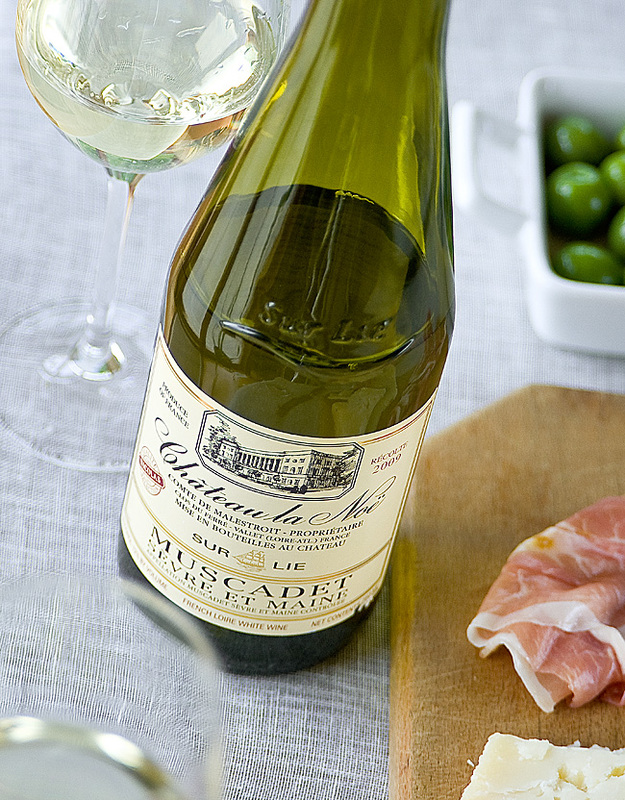 Lacking an Italian wine, we chose a French (from the Loire Valley) 2009 Chateau la Noe muscadet out of the wine fridge. The wine was medium bodied and slightly spicy with a crisp finish. 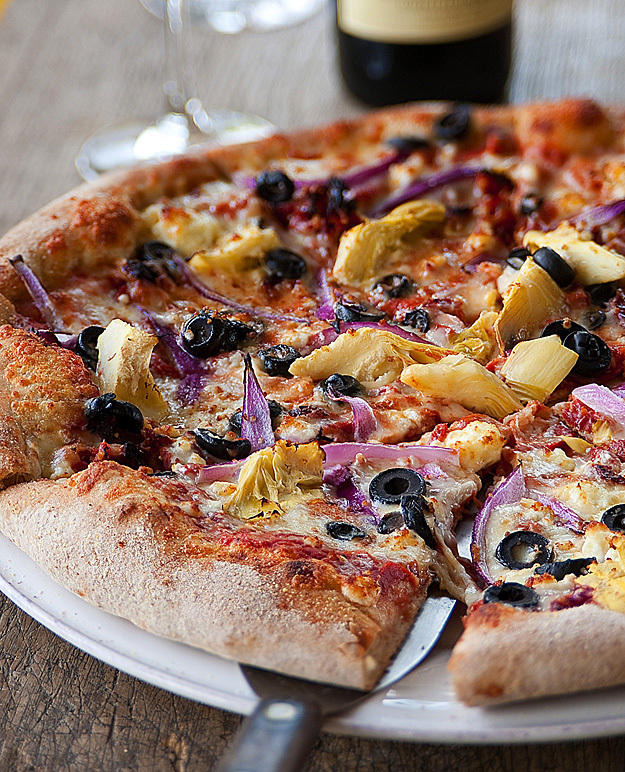 Its earthiness paired well with the rich textures of the cheese and olives. Add some dry-cured prosciutto and you have a treat (or meal) fit for a king! Trugole cheese....one of our favorites! 2009 Chateau la Noe Muscadet. Excellent choice. Father’s Day. What would it be without grilled meat? Well, I guess it would still be a Sunday to celebrate how great our fathers are. But, it might not be quite as manly without the grilled meat! 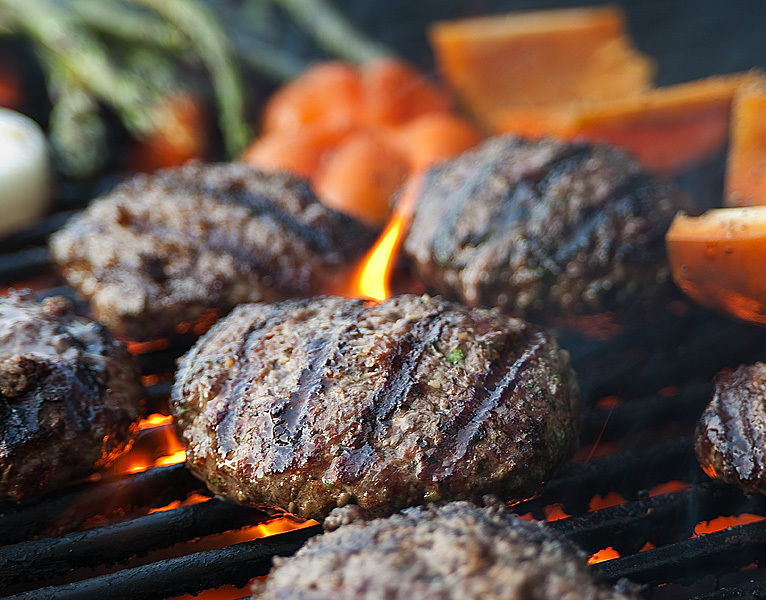 (and a beer as you grill!) So Happy Father’s day…a day after. I hope you got to enjoy something like this Italian themed burger! As I said in the caprese burger post, it’s fun to make a burger that’s way bigger than you can easily take a bite out of. So, we did it again here! 90% lean irradiated ground beef was once again our beef of choice. For this burger, I chopped up oregano and parsley and mixed it in the meat when I created the patties. Grill it medium, and it’s incredibly juicy and flavorful. Place it on your grilled Italian hard roll and top the burger with fresh mozzarella, grilled pepper, grilled onion, more fresh oregano and parsley, mixed greens and your favorite tomato sauce. 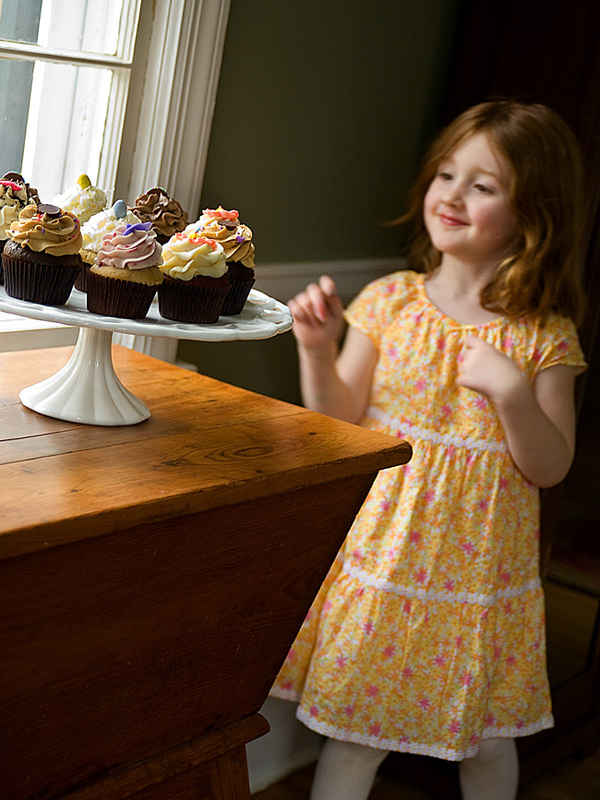 Make sure to hold it over your plate and have a few spare napkins nearby! 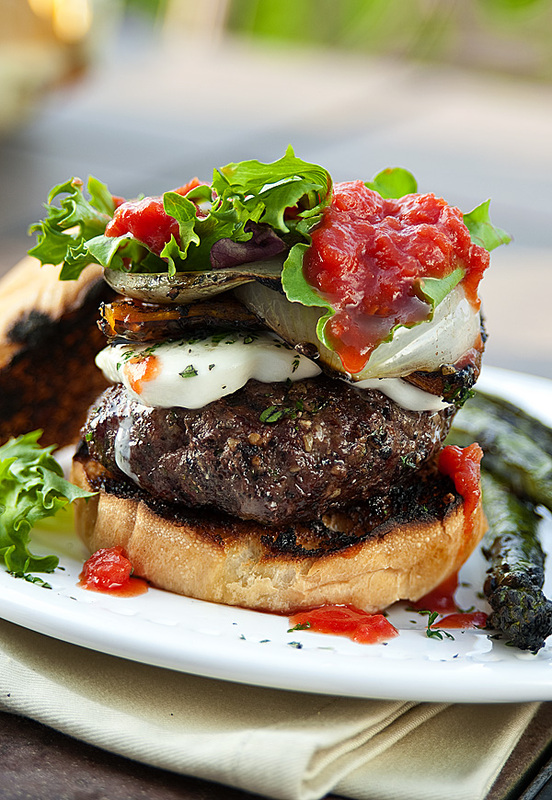 The juicy, dripping, flavorful Italian themed burger. I can just hear the sizzle and smell the smoke. What’s for dinner? 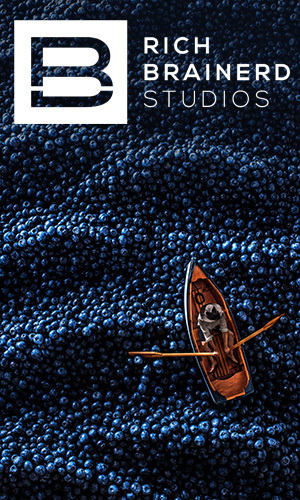 Rich buttery Patagonian toothfish!? I had spent a couple hours roasting red peppers at the studio for a shoot (for roasted red pepper hummus), and I didn’t want them to go to waste. I asked Heather what we should get to go with them for dinner, and we decided on Patagonian Toothfish. Well, that’s what it was called until some clever marketing changed that not so pleasant name to Chilean sea bass (more upscale and in keeping with the rich, marvelous flavors of the fish). 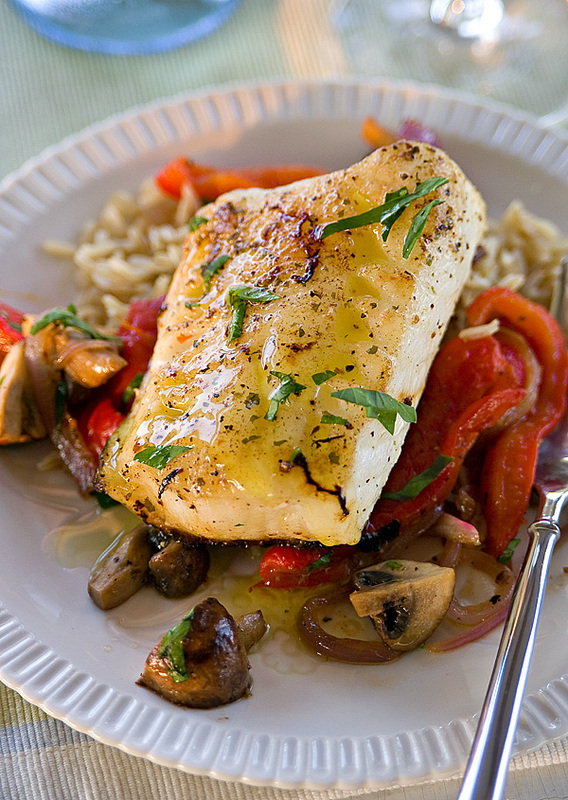 With a few sauteed mushrooms and red onions, (and the roasted red peppers), we served our pan seared sea bass over rice, topped with fresh chopped basil and drizzled with lemon extra virgin olive oil. 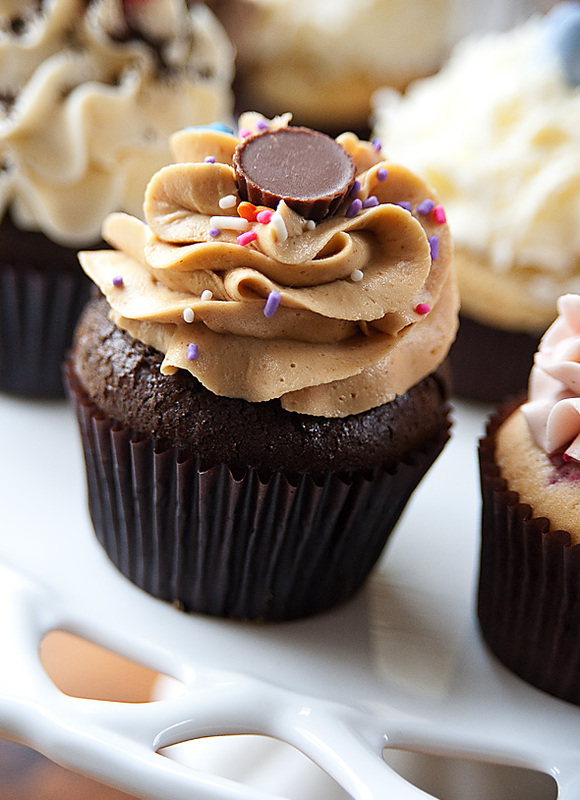 What a decadent, flavorful treat! 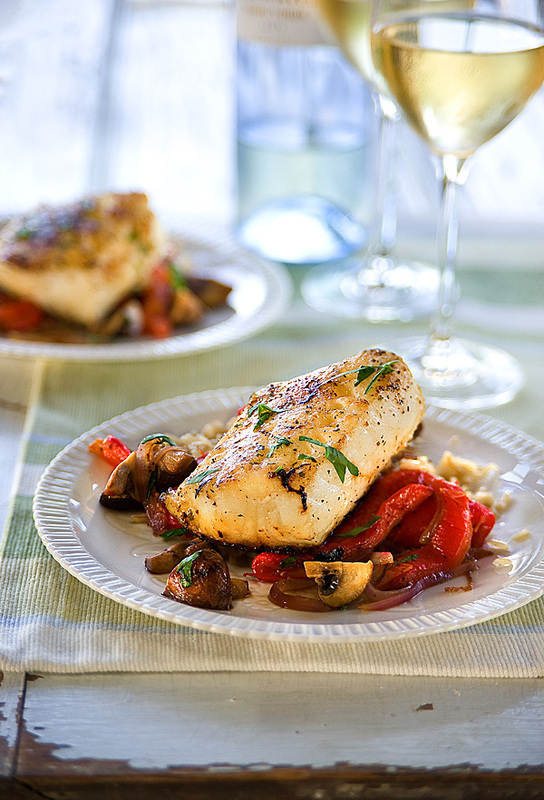 We decided to pair the fish with a 2009 Quinta da Aveleda Vinho Verde. I might normally suggest a richer white, or even a pinot noir, but thought the light bodied wine would be a nice match given it was a very warm evening. The wine is dry with light fruity tones, and high in acidity. It actually worked very well as a pairing and made for an excellent meal. Chilean sea bass, also known as the Patagonian Toothfish. Either way, it's excellent! Drizzled with lemon extra virgin olive oil for extra flavor. 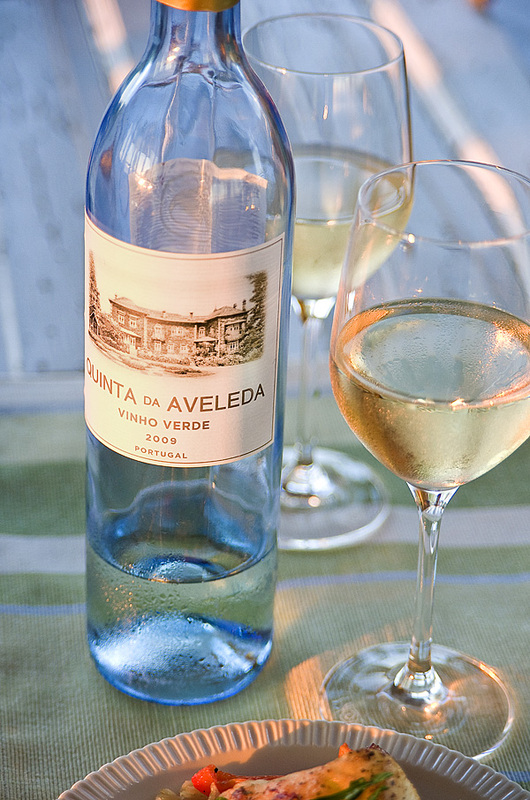 2009 Quinta da Aveleda Vinho Verde, from Portugal. A great summer wine! What would summer be with out the root beer float? Our boys have been asking for them ever since the weather started to warm up. While they may not be too picky about the quality (yet), Heather and I are always searching for the best ingredients (which are the key to a great drink). We stumbled upon Iron Fireman Root Beer during a visit to Custom Brewcrafters in Honeoye Falls, NY. It’s fabulously deep, creamy and spicy, with hints of wintergreen and anise and a dark foamy head. It paired marvelously with Perry’s Vanilla Bean ice cream to create our summer classic! 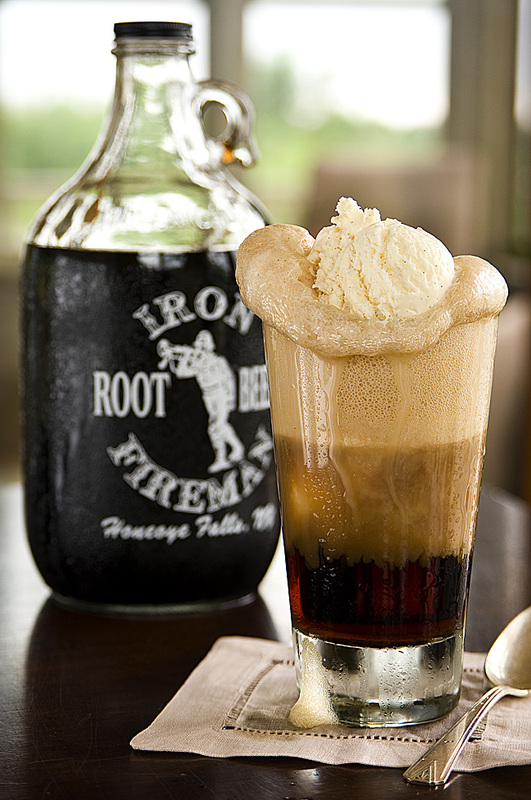 The Iron Fireman root beer float! Who would have thought carrots and cake go together? My niece trying to pick her favorite! Quick! Go to your neighborhood fireman’s carnival! We are first night Mendon fireman’s carnival junkies. I suggest you get hooked as well. 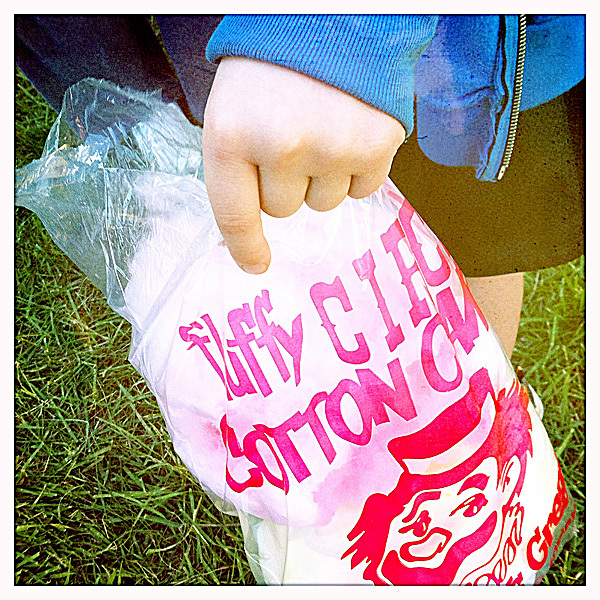 🙂 I figured I’d try and entice you with cotton candy and a few funky iPhone pictures. I would have taken pictures of our Italian sausage and fried dough, but they were gone almost before we got them. Hope you enjoy! 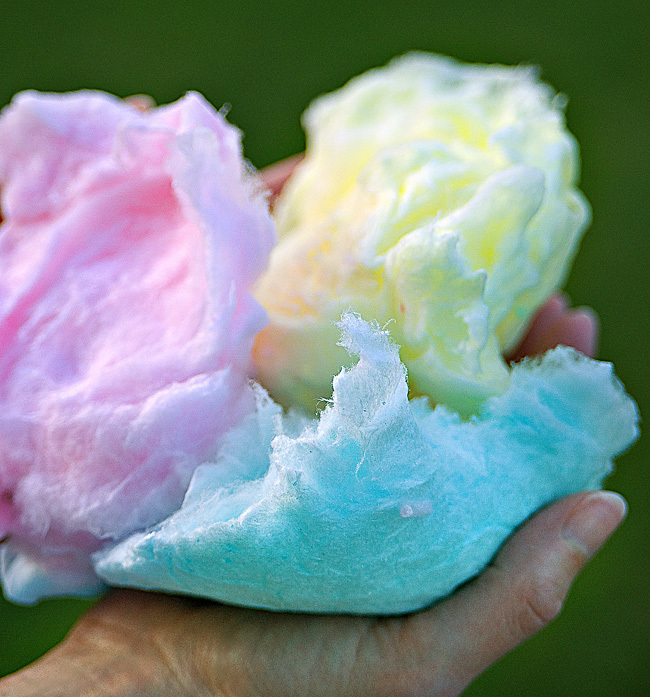 Fluffy Circus cotton candy. Mmmmm! 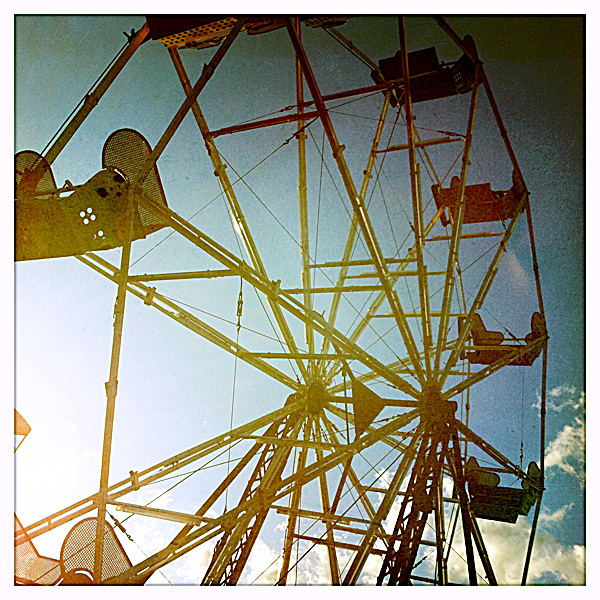 Don't forget a ride on the ferris wheel!